Nikon Releases Fast, Cheap Lens For Entry Level DSLRs | OhGizmo! If you’re on your first Nikon DSLR, odds are it’s a Nikon D40, D40x, or D60. They’re solid cameras (I use a D40x myself), but the low light performance is, shall we say, abysmal. Generally, you get good low light performance from using a fast lens, but these entry level DSLRs aren’t equipped to autofocus any lenses except new and expensive ones, meaning that your el cheapo trusty 50mm f/1.4 AF-D won’t get the job done, and the cheapest fast AF-S lens that will work is nearly $500. 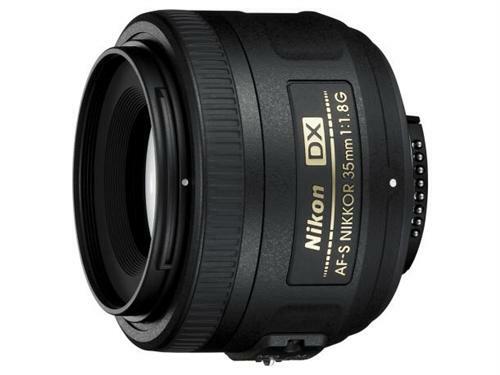 Nikon has just released a new lens designed specifically for entry level DX cameras, the AF-S DX 35mm f/1.8 G. It’s not an f/1.4 or an f/1.2 (or an f/0.95), but considering that the kit lens that comes with the D60 is an f/3.5, which is something like four times less sensitive to light (I think), this lens would be a major improvement. The 35mm gets boosted to about 50mm by the 1.5 crop factor of DX sensors, giving you a zoom of about 1x. All in all, a very fast, very solid lens. It focuses to just above 11 inches, weighs 7 ounces, and goes on sale in March for (this is the best part) under $200. Photography is a great hobby but you need very good lens to do it well. You can visit http://lensstore.com/ and save yourself a lot of time and pain . Receive great advice on anything related to lenses.